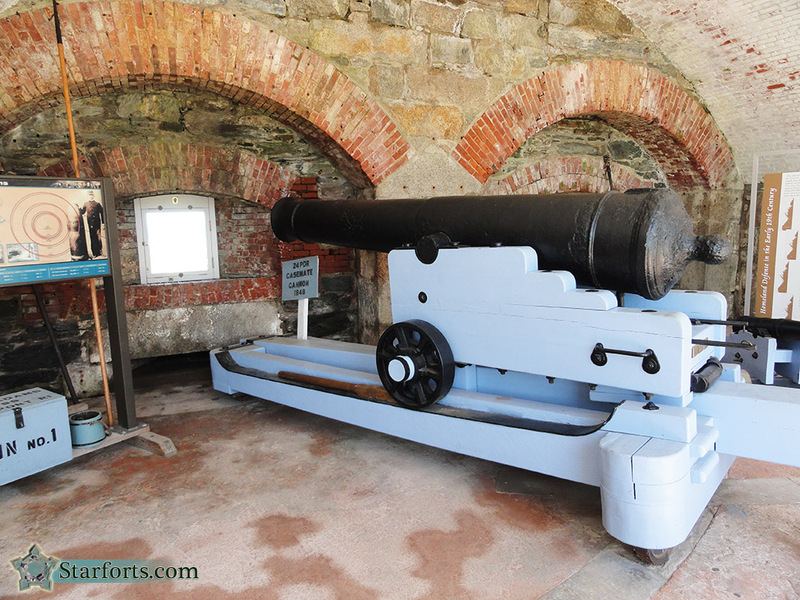 There is a small museum inside the north wall of Fort Adams. My group spent about 120 seconds inside this museum, mostly admiring this, the 24-pounder Casemate Cannon, Model 1848! These casemates were designed to mount 32-pounder cannon. Some of the casemates along the fort's west wall were later fitted with 10-inch Rodman Guns, during and after the US Civil War. I have yet to find any evidence that cannon fired from inside American casemates were ever anything other than a bad, unmanageable idea. Issues involving ventilation of the gun's smoke seem to have frequently played a part in this. Just the length of time it took from design through construction to the arming of a starfort, with tactics and technology advancing faster than the process of building such a huge, complex structure ever could, was probably the main culpruit.